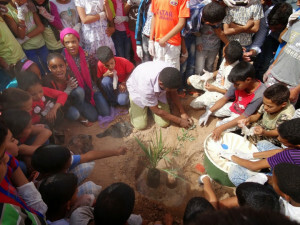 to donate the booklet “Me and My Sahara ” to schools and children in South Morocco as a tool to help teach about the delicate balance of nature in their environment. to help sell the booklet “Me and My Sahara” in the Netherlands and Morocco in order to be able to donate the booklets to schools in Morocco. to invest in long term sustainable development projects such as planting of trees, with the help of the unique Groasis Waterboxx system. With this new invention we have been able to increase the survival rate of the trees that we planted substantially.